We work on sitting every time we go to our physical therapy sessions. Noah has hit new sitting records, has found great assistants such as sand and toys, and has knocked his head more than once. Do you ever ask youself if all this practice really helps? Is it worth it? But mommy, it's hard work. I was cruising around my favorite resource on the internet Down Syndrome Education Online and found some interesting down syndrome facts. For one, your child WILL learn how to sit. Woo Hoo for us. They will learn how to walk, and do all of the fine motor tasks that you EXPECT them to do. However, it is not at the same pace as a typical child. Children born with Down syndrome will learn their milestones in the same sequence as a typical child but at a slower rate. They will also require more practice to get it perfect. Hence us practicing sitting every single day. There are multiple studies showing that with a little more practice a child with Down syndrome will learn and be able to perform that specific task. Remember to smile. A lot! Another fact is that there is a greater variability for when chidren will achieve their milestones. 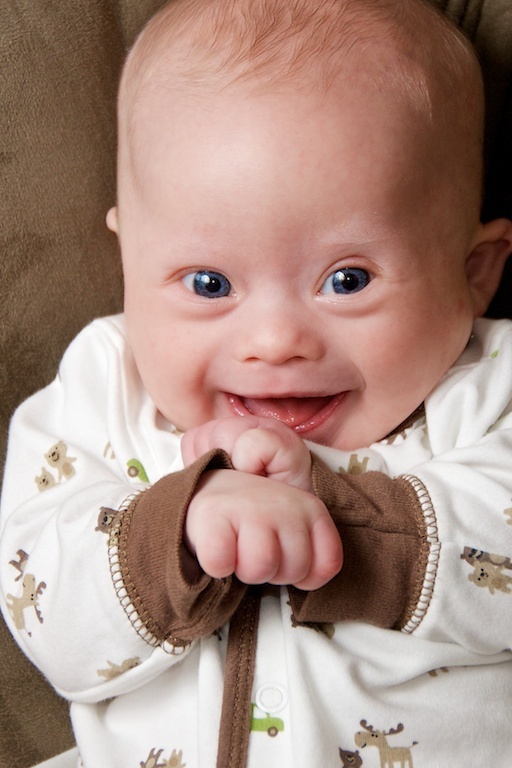 For example a typical child may sit up from 5-9 months, but a child born with down syndrome has a span of 8-16 months. The main reasons for this variability is that: One, we are a smaller population and, two, there is a large chunk of that population that is getting surgery or having medical concerns in the first few months which delays development. Rick and I frequently say that each child is an individual and will develop at their own pace. They will reach their milestones when they are ready. Some will do it faster or slower than others, but be sure to celebrate every achievement your child makes (no matter how seemingly small) and try your best not to compete! I know it’s a hard temptation to resist, but you can do it. 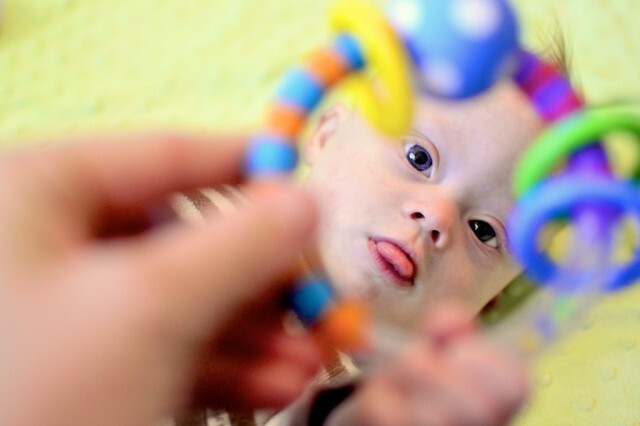 Early Intervention And Down Syndrome – Is It Worth It? An interesting fact on the site I mentioned above stated that their is no evidence that early intervention works. I actually kind of laughed at this. They have done studies which show that those in early intervention and those who are not involved will achieve milestones at the same rate. They think the biggest benefit from early intervention is, one you practice a lot, and two you encourage. Both of those aspects have been proven to help with development. Interesting huh? It's hard work, but somebody's got to do it! Are you guys doing the beckman oral therapy for Noah? Our speech pathologist is working with Patrick on this? Yes we are. If you do a search in the search box above in type in beackman, and I think Z-vibe, you’ll find some of the posts where we have mentioned. We need to do a better write up on our experiences with it, but in short we feel it was very effective. Keep us posted on how things go, or if you have any questions that we may be able to answer for you. Do you as parents have any advice for daycare providers who are caring for babies with DS? I am currently providing care for an 11 Month old and am lost as to how I can help. Are there toys, equipment, etc I should look into having? Thanks so much for all the great info! I am going to share your posts with baby’s mom. Hi guys! 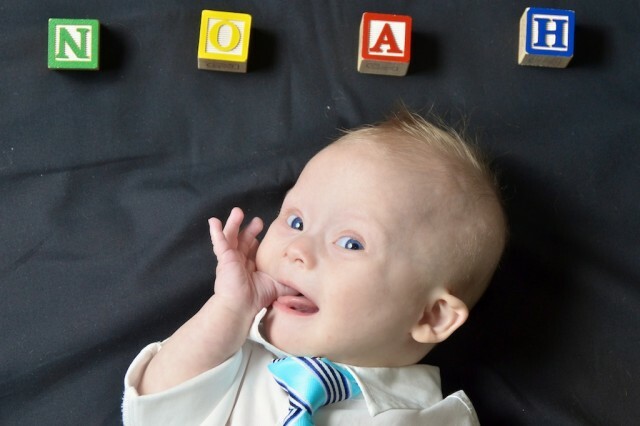 My husband and I recently found out our son (first child) has Down syndrome. It has been a whirlwind of emotions. We have begun physical therapy and I am curious to what you guys used as tools to help practice sitting with Noah. Did you use the boppy pillow or sit up chairs? Thanks for the blog too, it’s a great read and very enlightening and helpful! We probably used the big fitness ball the most to help him work on his core muscles. We have several videos of us using that. He did more sit ups than I can count plus we just would just sit him on it to stabilize his core. No PT likes the bumbo chair because it doesn’t encourage proper sitting (we did use it some though). We did use the boppy pillow to support him as well as letting him sit between our legs. Congrats on your new baby!!! We love pics if you want to share one! !